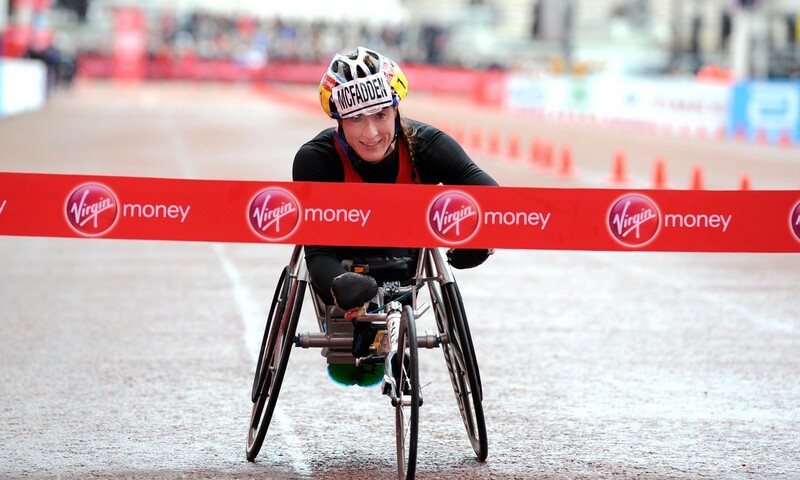 I once used the word “disabled” when talking to Tatyana McFadden. She replied: “I have never seen myself as ‘disabled’. I think I am very able in everything I do.” She went on to tell me how she regularly found herself in the gym lifting heavier weights than so-called able-bodied men! That little cameo gives you a deep insight into McFadden, the person and the athlete. She was born in Leningrad in the then Soviet Union in 1989 with spina bifida, which left her paralysed from the waist down. She walked on her hands for the first years of her life and was then abandoned by her mother to live in an orphanage. Her life-changing moment came when Deborah McFadden, who worked for the US Health Department, was on an official visit to Russia which included the orphanage. Going to America was hard as, of course, she did not speak any English – only Russian. She recalls leaving the orphanage and checking into a nearby hotel and asking her new mum if they were in America! Deborah had been told by Russian doctors that Tatyana would not live long – “a few months, maybe a few years”. McFadden was instantly struck by the faith that the family had in her and how they believed she would live for a long time. She received her first wheelchair, went to school and made new friends. She had surgery on her legs and started slowly to get her health together. As a 15-year-old she qualified for the Athens Paralympics, winning a silver medal in the 100m and a bronze in the 200m. She says: “It was my first international competition. I just went to have fun. I had been through so many challenges in life – to actually be at the Paralympic Games competing at the elite level for one so young is a feeling I will never forget. It was an amazing feeling to be on that podium, only 15 and representing your country. “I will never let that feeling go. It is a motivation. I think I have had motivation throughout my life – from the orphanage, motivation to survive and that carried on through sport”. She won three silvers in the Beijing Paralympics followed by three golds and a bronze in London. “London was fantastic,” she recalls. “The opening ceremony was perfect, the amount of support we got for the morning and evening sessions of our competitions were fantastic. For me no other Games came into comparison. It was an unbelievable experience, just an unbelievable experience. When I made a speech after I won my third medal, the crowd was chanting my name”. As you talk to McFadden, she comes across as a such a positive person. “I have always been a believer in God and Jesus and in those tough times I knew that God was with me and that he had plans for me later in life,” she says. “I knew I would make it through those tough times and that he was definitely there to help me. Sometimes days are tough and you say, ‘Why me?’ But my disability is really not that bad. With my disability I can still go to school. I am an athlete with gold medals and I can teach and help others. I can talk in schools and hospitals and I think that is what my purpose in life is – to help others with greater need than me”. Part of that desire to help people is focused on the country of her birth. When the Russians stopped American adoptions it really upset her because adoption changed her life completely. “It is really sad,” she says. “I look at my life and wonder, what would happen if I was six years old now. I would be stuck in that orphanage and I would never go to the Paralympics aged 15. I would not win medals. I would not have these opportunities. In case you think she is superwoman, she did admit to one weakness: “I hate going downhill and I am terrified if I am going downhill at 30-35mph. It doesn’t seem to have hindered her success.